SanDisk microSD can take 400 GB (that's for phones). They have SD cards that can handle a terabyte. - Much needed for 4K resolution which eats up a ton of space. Michael Dell, who was born in Houston, donates $36 million toward Hurricane Harvey relief, the largest donation to the effort. Dell hopes to raise $100 million in donations. (NYT). Trump claims he's donating $1 million. Author of "THREE FEET FROM SEVEN FIGURES: One-on-One Engagement Techniques to Qualify More Leads at Trade Shows" available at ThreeFeetBook.com. What will the Trump administration do to protect your digital privacy? 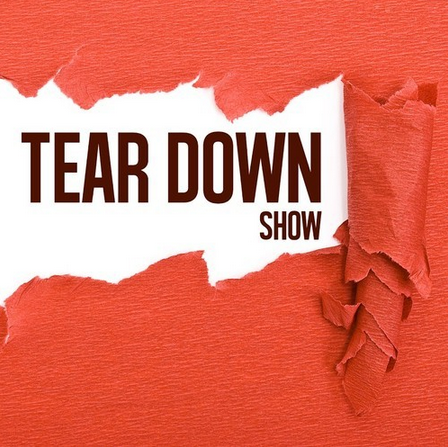 Tear Down Show #164: Special episode with Dave's MOM! Tear Down Show #163: Listen now or we'll be replaced by ROBOTS! Creative Commons photo credit to Steve.